A piece of South Australian cricket history – not the majestic Adelaide Oval scoreboard – but still providing plenty of information to the small crowds at the inaugural first class fixture at the Bay – Glenelg Oval, South Australia versus Queensland, from October 29 to November 2. The scoreboard may not be world class but the setting is! 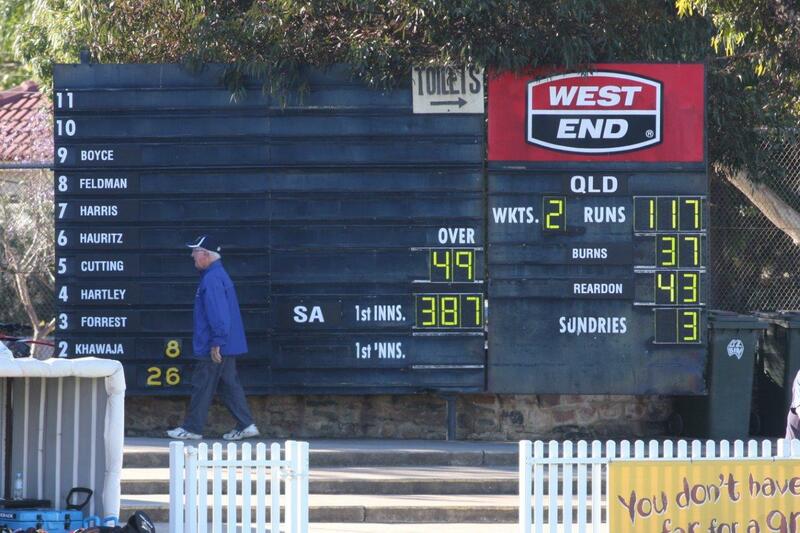 Peter’s previous contribution to Scoreboard Pressure featured the Adelaide Oval.